Our culture medium expertise and rigorous quality standards have made us a preferred supplier and trusted source of prepared media to laboratories around the world. 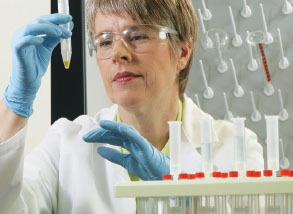 With a full range of formulations and formats, our media products combine ease-of-use with accurate, reproducible performance. You can rest assured knowing the Thermo Scientific™ culture media that reaches your benchtop will provide optimal recovery and differentiation of organisms, for greater confidence in your results. Our prepared media plates, bottles and tubes are produced in Australia, at our Adelaide manufacturing facility, following our commitment to produce as close as practical to our customers. Process control from raw materials through to finished goods, for reliable and consistent product performance. Our Quality Assurance and Quality Control systems ensure that you receive products meeting the technical specifications and regulatory standards that you require. Research and development capability, which enhances our ability to offer customised formulations. When you choose Thermo Scientific products for your microbiology needs, consider it the start of a long-term partnership. Whether you need assistance with protocols, product transitions or product troubleshooting, our team of experts is ready to help you. Our team of microbiology product specialists can assist you with enquiries related to products and their application to your industry. The customer service team can assist you with general enquiries, order acknowledgements, pricing, customised order forms, scheduled ordering agreements and access to our online portal for easy ordering. Our warehouse and logistics teams ensure that stock levels are maintained of a wide range of media for immediate dispatch and >97% of orders are filled in full and on time. and diagnostic products, we are here to support you at every step of the microbiology workflow.